This build is used for work (modeling and simulation) and gaming if I get time. I like tinkering with things, so I enjoy the build process and tried to make it visually appealing as well as functional. 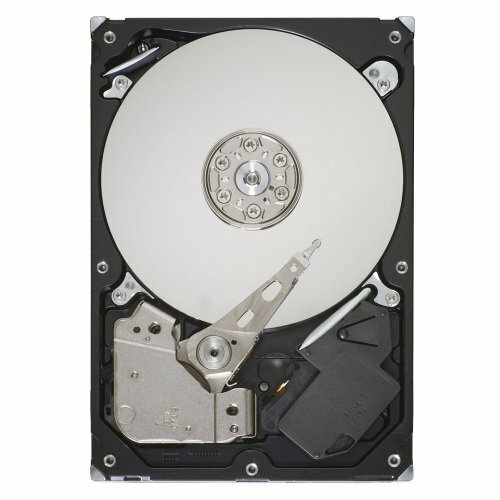 The base price for the parts that went into this build is shown in an image. I saved about $350 on this build at the time. A quad core processor with overclocking abilities was enough for me. I got this as part of a CPU + motherboard combo. This is a great motherboard. It has lots of nice features and I like how it looks. 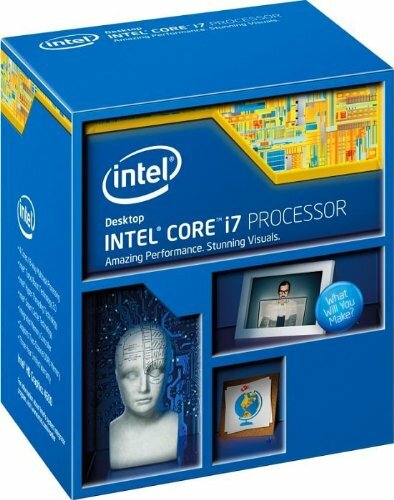 I got this as part of a motherboard + CPU combo. This ram is fast, and to me is the best looking as well. Sandisk is a very reputable company. 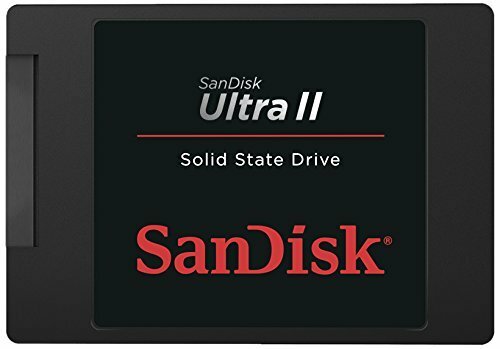 I do photography as a hobby, and I use Sandisk cards; they have never let me down. I didn't need much space as I keep all my music and pictures on external storage. This is a compact drive that doesn't make much heat or noise. I just use this to store a few things locally on my PC. I future-proofed my build with this card. I spent more money to have one of the best cards out there, instead of doing an SLI. I have never done SLI, but from the research I have done, it is better to go with one card instead of two. Power consumption is low, and I didn't have to buy multiple GPU blocks. Future-proofing the card assures that my watercooling set-up won't need to change for a long time. I can always get another one of these down the road and SLI it, but for now it runs anything I throw at it without breaking a sweat. I believe a case is the most important part in any build because you see it all the time and it ties everything together. Therefore, I don't really spare any expense when it comes to cases, but luckily this one was really cheap. There are some better cases out there that I myself probably like better (Lian Li PC-08), but they all come with too many downsides. The Define S really has no draw-backs. I believe this case is the best bang-for-buck water cooling case out there right now. It is compact enough, yet you can fit multiple radiators, pumps, reservoirs etc. I don't think there is another case out there that meets my requirements as this one does. This is the best power supply I have had. The active/passive fan control is an great feature. It is the highest power rating platinum supply from Seasonic that is still in the small form factor. This allowed me to add another 140mm fan in the bottom of my case. These are great fans: quiet, good looking, and capable of moving air. This is an awesome looking monitor with all kinds of neat features. It is an IPS monitor that does 4k at 60hz with really good response times. This is the best mouse I have used so far. It feels really good in my hand, and is very sturdy. It's sleek and isn't covered in a ridiculous amount of buttons. Woaaah awesome loop man! Love the chrome fittings. Thanks a lot. The lighting is actually RGB, but have been liking the purple lately. Such a Beauty! But uh... are you sure you dont wanna throw a mechanical drive in there? Anyway, what OS you're using? why not upgrade to 10, im sorta new to this and peoples OS ranges from 7 to 10. Why not use the newest version? I use a lot of software that probably wouldn't work with 10. Awesome build! hopefully your the next featured build. How could this not be featured? What is wrong with pcp? Do they pick their featured builds by random generator these days? Haha, thanks. It only matters that you like it. I think some of the over-the-top stuff they choose not to feature, just because it doesn't really apply to most people. I think PCP is (like every other business anywhere) looking out for their best interest, which would be featuring builds that people the majority of PC builders would see and could "copy." They do this because it would allow a person to track prices of parts like AIO coolers and things that PCP allows you to track. This would get traffic up on their website unlike when someone decides to use custom built pieces and things that PCP doesn't track. Someone trying to emulate a more custom build would not benefit PCP website traffic because you can't track some of the parts. Anyway, I don't really know if that makes sense, but I am sure you understand what I am getting at. And I'm not saying they don't ever feature over-the-top builds, but they probably don't do it as often. Thanks for the support though, haha. Featured Spot should be reserved for pure awesomeness! Everything else is a travesty! Well, thanks for the confidence booster, haha. It was a good bit of work to get it to where it is now. And that should be rewarded! I'm tired of mediocre builds on the featured spot! Sick build! Love the Joker's theme man. I bought the Define S myself, can't wait to work on it as soon as I get everything, this case puts to shame a lot of competition, even it's bigger brothers. I'm glad to hear you feel the Castor feels good and sturdy, I'm waiting for mine soon. Fantastic build man, cheers! Thanks. Glad you like it. I may have to call it the joker now that everyone keeps saying that, haha. The water has a splash of antifreeze in it. You can see it more in the reservoir because the water is "deeper" there. I probably will add a little less next time so it isn't so noticeable. what does anti freeze do to the loop exactly? i would imagine it makes it colder? and is anti freeze clear itself? No, antifreeze does two main things in cars: it lowers the solidification temperature of the fluid (no benefit here), and it is a corrosion inhibitor. This helps prevent galvanic corrosion between metals with different galvanic potentials. The second reason is why it is in the loop. You don't necessarily need it in the loop, but I add a small amount for peace of mind. Antifreeze is different colored based on manufacturer. There is green, orange, etc. notctua fans are super quiet. His water pump probably puts out more sound than the fans. 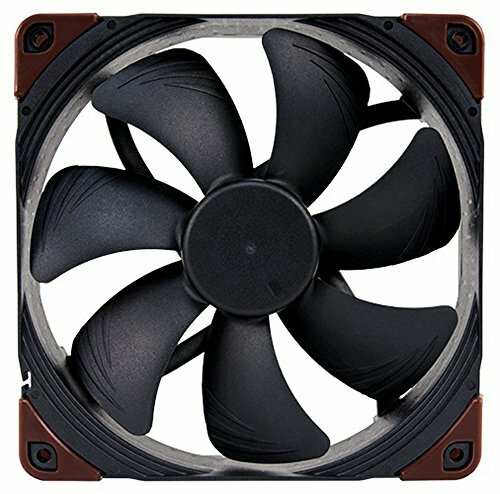 Fans run at 20% and pump at 60%. You can't hear either of them. Also there are 7 Notcua fans. There is one under the Power Supply shroud. The PSU fan never runs because it is on passive mode and never reaches a temperature where it needs to turn on. The GPU doesn't have any fans because it is water cooled. With the fans at 2000rpm they are definitely louder than the pump at full speed, but normally, the pump is only operating at 60% which doesn't make any noticeable sound. I have, and it gets pretty loud. I run the fans at 20% which is about 400rpm for these fans and the temps don't go above ~34 C even with a when watching videos or doing solid modeling etc. The only time I have ever had the fans go any higher than 20% was when I was doing benchmarking. They went to about 80% or so, and my temps didn't go above ~54 C. My power supply is active/passive, so the fan on it doesn't run unless the temps get to a certain point. I can't even tell the computer is on. The only noise you can hear is when you open the case, and it is whine from the electronics not the fans. I will make the LEDs green and take another picture. Thanks. Thanks much! Let me know if you have any questions. I have large hands (6' 4") and it feels nice. I think whether you like a larger or smaller mouse would be the deciding factor. I use a claw grip with the palm side of my knuckles (the first knuckles after my wrist) resting on the mouse about 3/4 of the way back on the mouse and my palm and wrist kind of suspended off of the mouse and desk. It feels nice if used like this.If you usually use a palm grip and you have large hands, you may want to get a bigger mouse. As far as quality, the Castor is awesome. It feels solid, but isn't very heavy. It is very precise and has good customization. Thanks for answering, I might get the Castor because I tend to change my grip and because at the moment I am using a small Logitech mouse, but I'll see if I can try both. How did you make the psu enclosure? super jelly! Laser cut acrylic, and then glued together and painted. You can do an AIO (all in one) cooler. Those are easy to install. The custom water cooling is harder to do. The hard line custom water cooling is harder than the flexible custom tubing. With water you get much cooler temps under load especially on GPUs. It looks cool, but is more expensive than air cooling. Start off with an AIO cooler. I will post up a picture of what I did this weekend and will reply to your post when I do. That is probably the cleanest build I have seen thus far! I love the way you managed the cables and how clean and organized everything looks. Definitely bookmarking this for reference. The PSU enclosure is legit. How did you avoid connecting the Power+, Power-, Reset, HDD LED, USB 3.0 and all those other small cables? The power cables are commected. They come from the side by the sata ports. The usb 3.0 is right by the motherboard main power cable. The only thing I didn't connect was the front audio because I never use it. The HDD is a 2.5" laptop drive, so it is sitting next to the SSD in the back. It looks like an alien built a pc...I LIKE IT! Thanks. I have some new parts in the works. Before I even saw this build I was imagining what would be the perfect dream build, and then I saw this. This build is just like what I would build if I had the time and money. I feel like we have the same mind :) . Haha, thanks. It took me a while to get all the nice parts, just upgrading one at a time. That's really a beautiful build. An awesome color scheme. A very clean look too. Some excellent parts chosen as well. Nice setup. You said this one is retired. What PC are you using now? Or you are building a new one? I am building a new one, but do not have time to work on it until March. I have a different computer I am using at the moment. I never did a completed build for the one I am using now, but I will have to some day soon. You can click my profile and look at saved parts lists I think. They should all be in there. Cool. I will check that out. Is the PSU enclosure custom or bought cause I need one just like it!? It is a custom piece. I have the drawings for it if you want them. Sure that would be great!! Do you have a program like solidworks? But can it play minesweeper? Question why does it say (retired) are you retired ? Haha, no, it's just an old build that is not current and doesn't exist anymore. Anything will become "more conductive" over time by absorbing metal particles and things off of the blocks and fittings. Antifreeze is used in cars to prohibit corrosion, so it should help prevent that, but I know it's not great for plastics. This was just distilled water with a small spash of green antifreeze; probably about 5%. Thanks! That drive pretty much just has music and some pictures on it. I'm in love with it! 1 question: how can you plug that many fans? because some motherboard only supports 3 or 4 fans. (sr abt my English, I just move to us and newbie in PC) Thanks! Thanks. I used fan splitters. 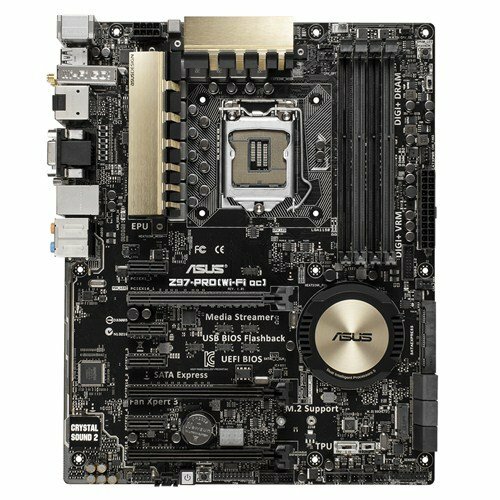 Most motherboard headers can support 2-3 fans. I have the same monitor and am currently preparing a new PC build. How did the monitor perform during gaming? I know the refresh rate is only 60hz but curious about how it paired with your GPU. Any major issues like tearing?